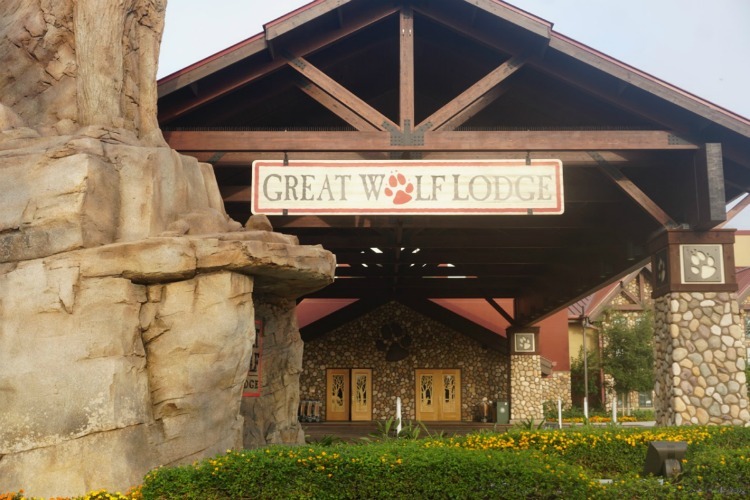 Are you thinking of planning a vacation to Great Wolf Lodge and wondering what are the best things to do with preschoolers at Great Wolf Lodge Anaheim? 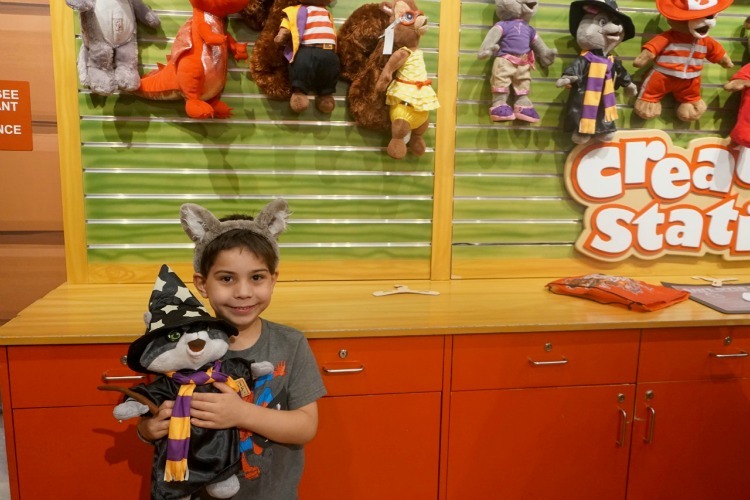 Multidimensional TravelingMom recently visited Great Wolf Lodge Anaheim as her family’s last hurrah before her 5 year old son started kindergarten. There are so many things to do with preschoolers at Great Wolf Lodge Anaheim, that the biggest decision you’ll have to make is where to start! There are so many things to do with preschoolers at Great Wolf Lodge Anaheim, beginning with spending the day at the indoor waterpark! Photo by Multidimensional TravelingMom, Kristi Mehes. Planning a family vacation with preschoolers can be tricky. They aren’t toddlers anymore, but not quite old enough to participate in the same activities that older children can participate in. However, my family and I recently discovered that there are several things to do with preschoolers at Great Wolf Lodge Anaheim. Whether your preschooler likes spending time in the water or participating in other activities like a Dance Party or Story Time, they won’t find a shortage of things to do! Here are some of the best things to do with preschoolers at Great Wolf Lodge Anaheim! While there are so many things to do with preschoolers at Great Wolf Lodge Anaheim, the best place to start is the indoor waterpark! I definitely have a better appreciation for indoor water parks as a result of our stay at Great Wolf Lodge Anaheim. Indoor waterparks are extremely convenient for everyone, but especially for families traveling with younger children. I didn’t have to constantly worry about applying sunscreen to my son or myself. And we didn’t have to wear shoes to avoid the hot pavement. The indoor waterpark at Great Wolf Lodge Anaheim has something for everyone, including preschoolers. 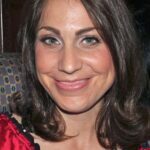 Photo by Multidimensional TravelingMom, Kristi Mehes. Prior to our visit, I wasn’t sure if there would be a lot of options for my son. It turned out I didn’t need to worry. He was able to go on several of the water rides, including Fort Mackenzie and a family raft ride called River Canyon Run. And there is even a flowrider! My husband and our son were both able to try it out and they loved it. TravelingMom Tip: To maximize your time in the waterpark, visit the waterpark earlier in the day, when the waterpark first opens. Big Foot Pass will test skills and agility! Photo by Multidimensional TravelingMom, Kristi Mehes. 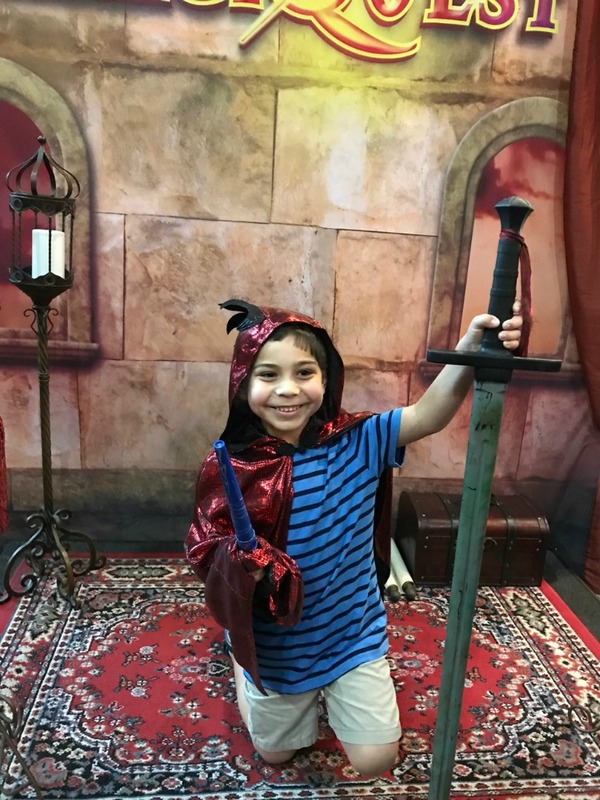 Besides the waterpark, one of the other best things to do with preschoolers at Great Wolf Lodge Anaheim is participating in MagiQuest. Kids choose a wand in the MagiQuest store, where the wand is activated. MagiQuest is best described as an interactive game where kids can use their wand to do things like open a treasure chest to complete a quest and cast spells to slay a dragon. Upon completion of the main quest, your child will be eligible to become a Master Magi in a ceremony in the Great Wolf Lodge lobby. The classic wand and game are included in the Paw Pass. If this is something you think your child is interested in, I definitely recommend purchasing the Paw Pass for that alone (more about the Paw Pass below). Kids can participate in MagiQuest! If they complete their quest, they can become knighted as a Master Magi! Photo by Multidimensional TravelingMom, Kristi Mehes. I highly recommend purchasing the Paw Pass. It includes 1 MagiQuest game, a choice of 1 MagiQuest classic wand, color wand, standard topper, or Magi belt, 1 character at Creation Station with Clubhouse Crew Adventure Game, One Paw Points Arcade/Attractions Card with 20 Paw Points, 1 serving of select bulk candy, 1 pair of select Great Wolf Lodge swim goggles, 1 Glitz Glitter Tattoo, and 1 souvenir bracelet from The Name Shop. 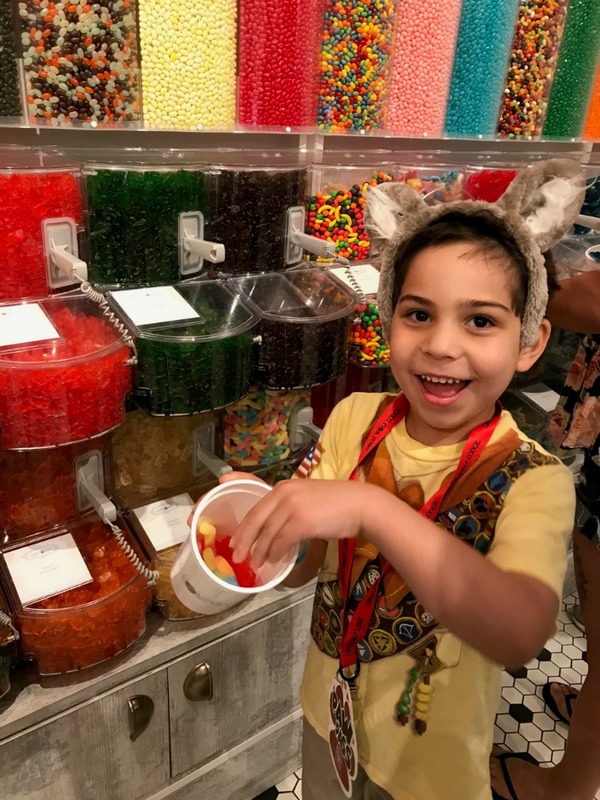 There’s a candy store, called the Great Wolf Candy Company, near the lobby and kids will quickly gravitate there. The Paw Paw includes a cup that can be filled with candy. My son filled his cup with gummies galore. It’s a lot of sugar, but we limited him to the candy in the cup. The Paw Pass includes several items, including a cup to fill candy in it. Photo by Multidimensional TravelingMom, Kristi Mehes. 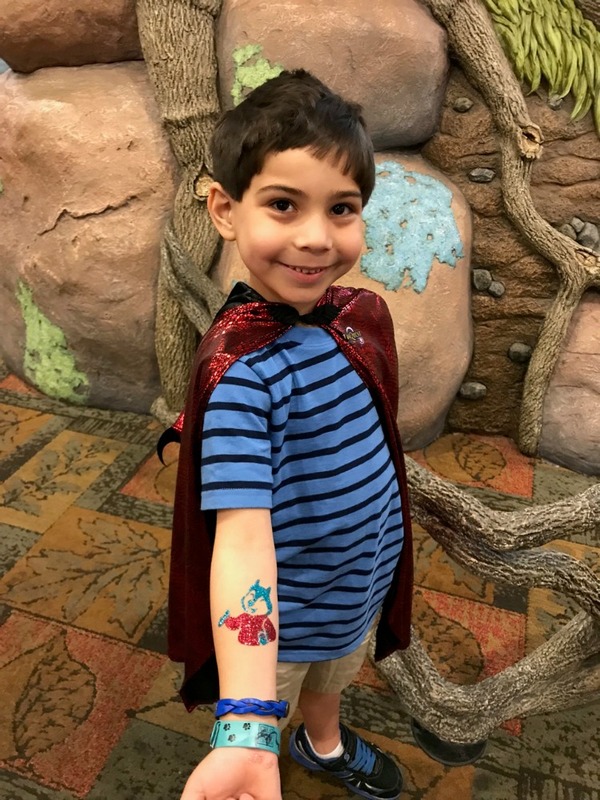 One of the other best things to do with preschoolers at Great Wolf Lodge Anaheim is get a Glitz Glitter Tattoo which is included in the Paw Pass. Don’t worry, it washes off! Photo by Multidimensional TravelingMom, Kristi Mehes. TravelingMom Tip: The glitter tattoo is waterproof but an employee recommended that we get it after we were done with the waterpark so that the tattoo would stay on longer. My son ended up getting his tattoo the morning we checked out, and it stayed on for a few days. He loved it! The Northern Lights Arcade is massive and it’s open 24 hrs! The Paw Pass includes One Paw Points Arcade/Attractions Card with 20 Paw Points, so you’ll definitely want to take advantage of it. There are different games for different ages and levels. 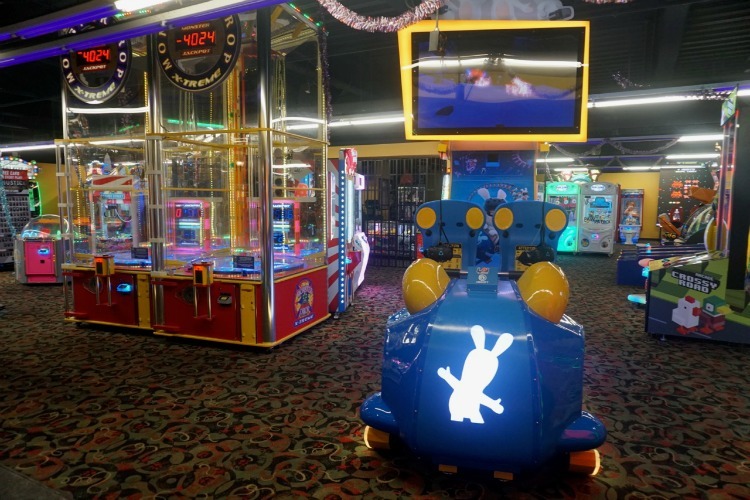 Regardless of whether you purchase the Paw Pass, though, kids will enjoy the arcade! The Northern Lights Arcade is a huge hit with kids of all ages, including preschoolers. Photo by Multidimensional TravelingMom, Kristi Mehes. The character breakfast is at the Loose Moose Family Kitchen. Kids (and adults too!) 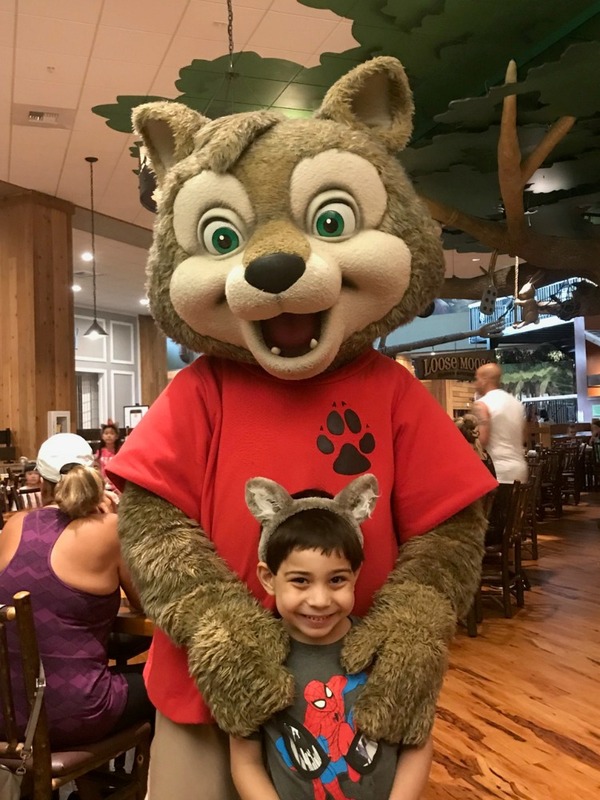 can have their photos taken with some of the mascots from Great Wolf Lodge Anaheim, like Wiley the Wolf, Oliver the Wolf, and Violet the Raccoon. The buffet itself also includes a variety of food, from an omelet station to french toast to mac and cheese. They also have healthy options like yogurt. There’s so much food, that we ended up skipping lunch because we were so full. TravelingMom Tip: The characters don’t always stop by the tables. If you notice that a character doesn’t make it to your table, don’t hesitate to tell an employee. They will do their best to bring the character to your table. Great Wolf Lodge Anaheim has a character breakfast! The pajama party aka Jammie Jamboree occurs nightly near the lobby. Kids are encouraged to wear their pajamas and participate in a dance party. My son loved this. It’s fun to see all the kids having a great day, jamming out to favorite pop songs. It’s also a great way for them to burn their energy before getting ready for story time. Story Time occurs in the same location as the pajama party, and begins after the pajama party comes to an end. Violet makes an appearance for story time and the kids are read a book. This a fun activity, especially for preschool aged children. 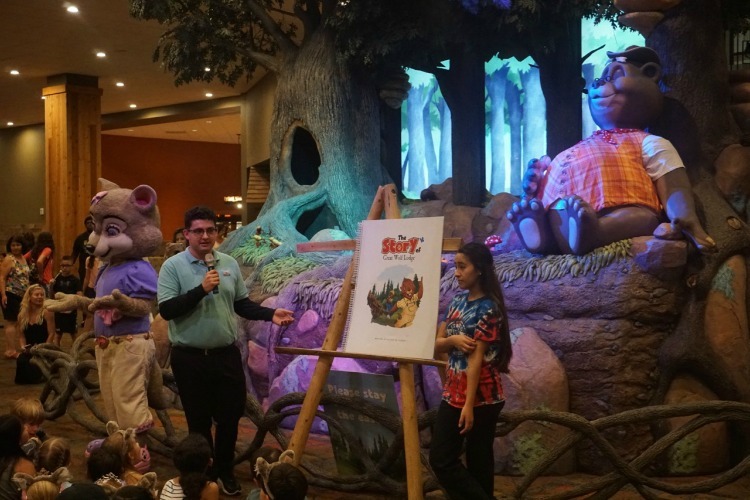 One of the best things to do with preschoolers at Great Wolf Lodge Anaheim is to attend Story Time in the main lobby. Photo by Multidimensional TravelingMom, Kristi Mehes. The Creation Station is very similar to Build-A-Bear. Children can choose a character and dress them up in the clothing of their choosing. My son chose Oliver the Raccoon and decided to dress him up as Harry Potter. Once the character is activated, kids can participate in the Clubhouse Crew, which is also interactive. It’s not as time-consuming as MagiQuest, but it’s fun to solve a mystery. Some of the clues include taking pictures with newly created characters. And it also includes playing a game in the arcade. TravelingMom Tip: While the Paw Pass includes the character itself, the clothes cost extra. Preschoolers will enjoy the Creation Station! Photo by Multidimensional TravelingMom, Kristi Mehes. 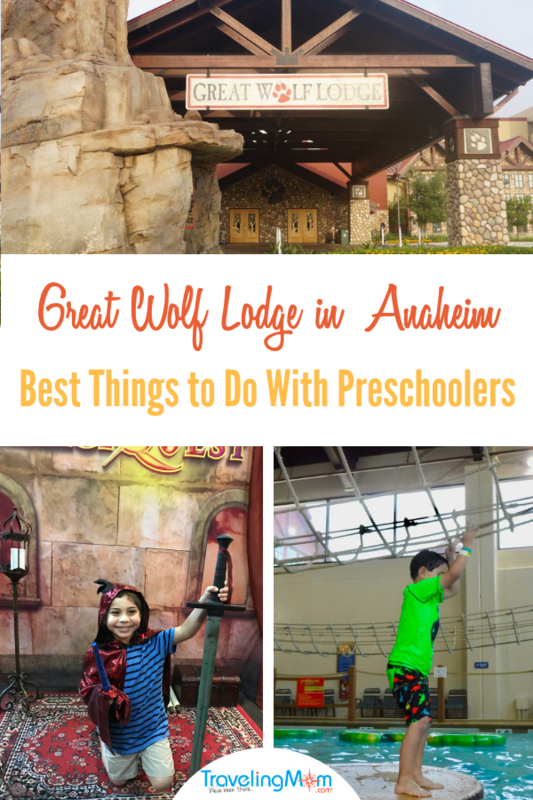 One of the other best things to do with preschoolers at Great Wolf Lodge Anaheim? 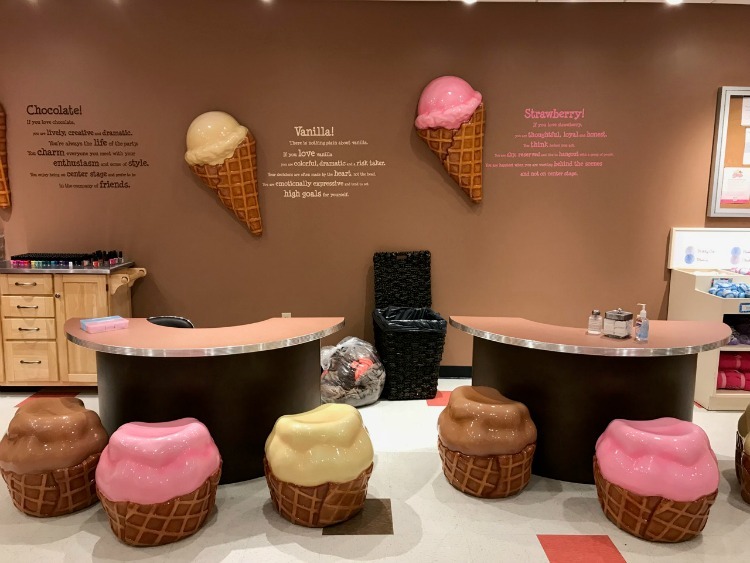 Get pampered at Scoops Kids Spa! If I had a girl, I definitely would have booked a Mommy and Me pedicure. My son, on the other hand, was more interested in the Northern Lights Arcade, which is nearby. But this is one of the things I love about Great Wolf Lodge Anaheim. No one will feel left out, whether you just want to hang out in the waterpark, play games in the arcade, or get pampered at the spa. Great Wolf Lodge Anaheim even has a spa for preschoolers! Photo by Multidimensional TravelingMom, Kristi Mehes. Wait There’s More! Other Activities at Great Wolf Lodge Anaheim! In addition to the activities listed above, enjoy bowling, yoga, mini golf, laser frenzy, and Howly Wood XD Theater. We ran out of time to experience everything. Some of these activities do cost extra. While it would have been fun to try it all out, so much is already included in the cost of the stay, as well as the Paw Pass. 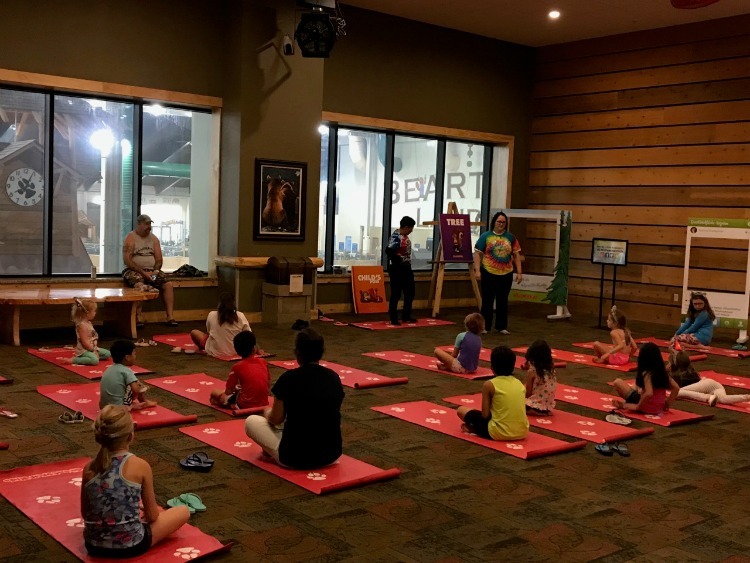 Great Wolf Lodge Anaheim even has yoga for younger children. Photo by Multidimensional TravelingMom, Kristi Mehes. My son is still talking about our stay at Great Wolf Lodge Anaheim! 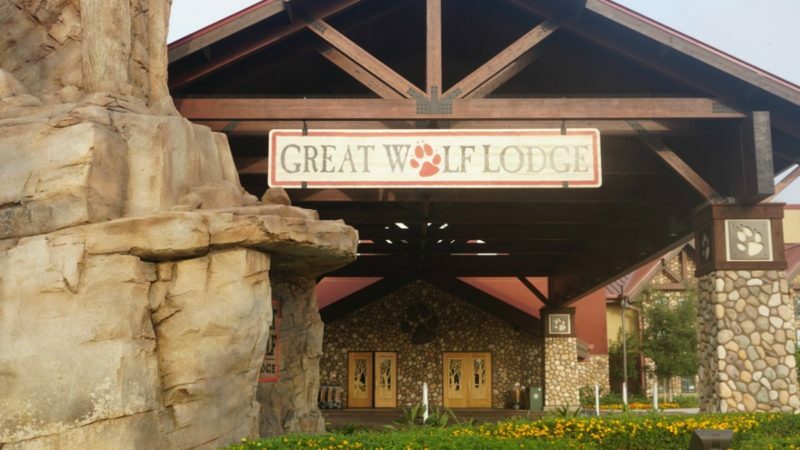 To read more about Great Wolf Lodge, click here for the Ultimate First-Timers Guide to Great Wolf Lodge! 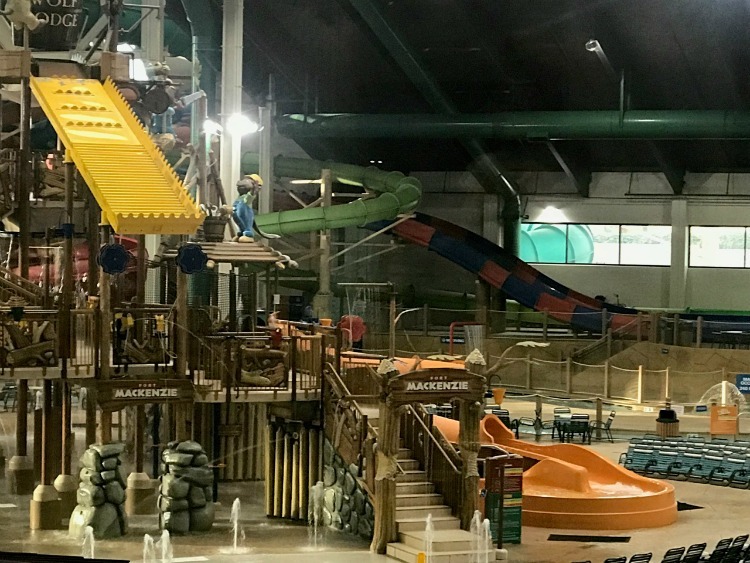 Planning a family vacation to Great Wolf Lodge? 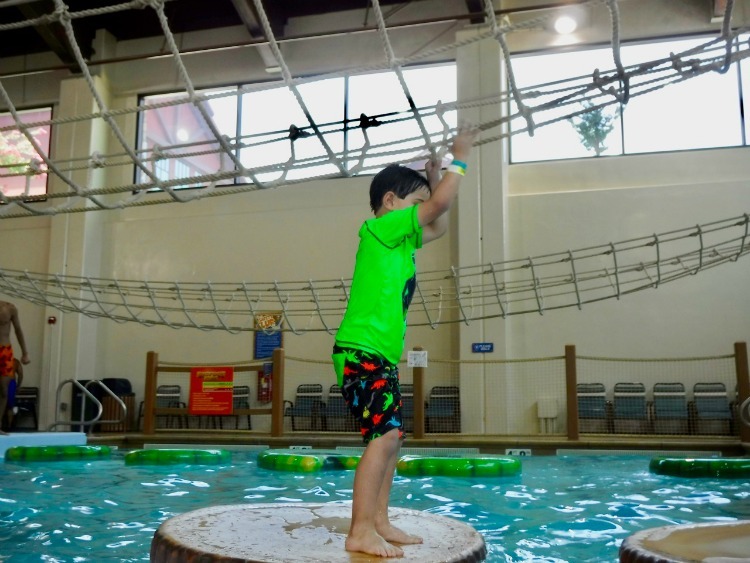 There are several things to do with preschoolers at Great Wolf Lodge Anaheim, including having fun in the indoor waterpark and participating in the MagiQuest. Photo by Multidimensional TravelingMom, Kristi Mehes.